Get the best competition rangoli designs with Homemakeover. It is the perfect place to find rangoli for every occasions. These award-winning rangoli designs can help you secure top places in rangoli competition. You just need some practice and a steady hand. 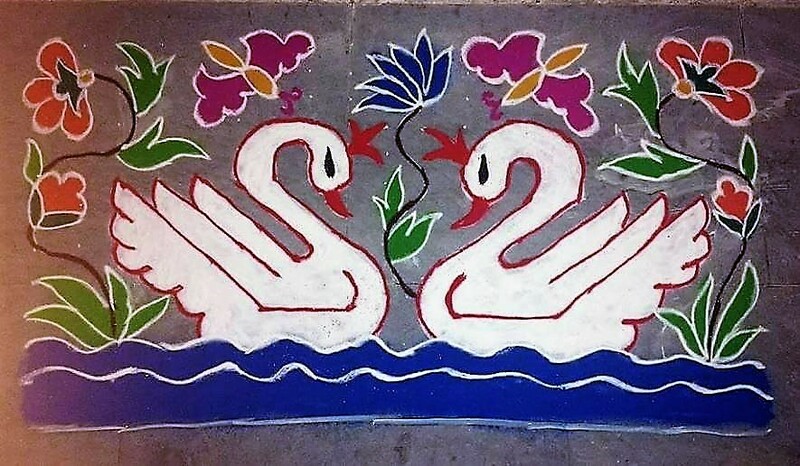 Make this simple rangoli with a couple of swans using 21 parallel dots having 12 lines. 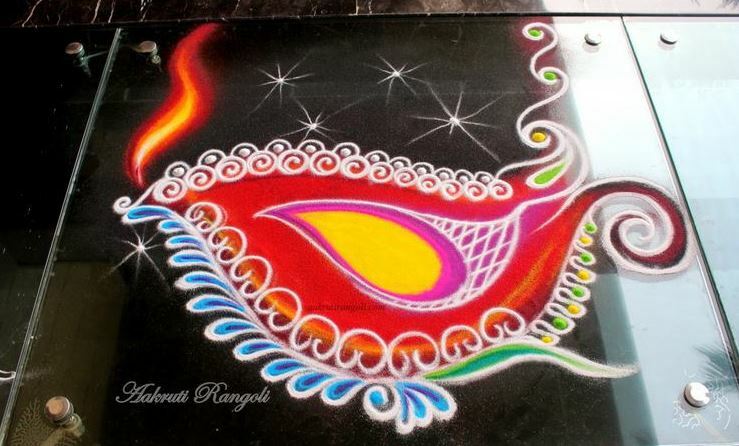 Using dots make rangoli easy to draw. 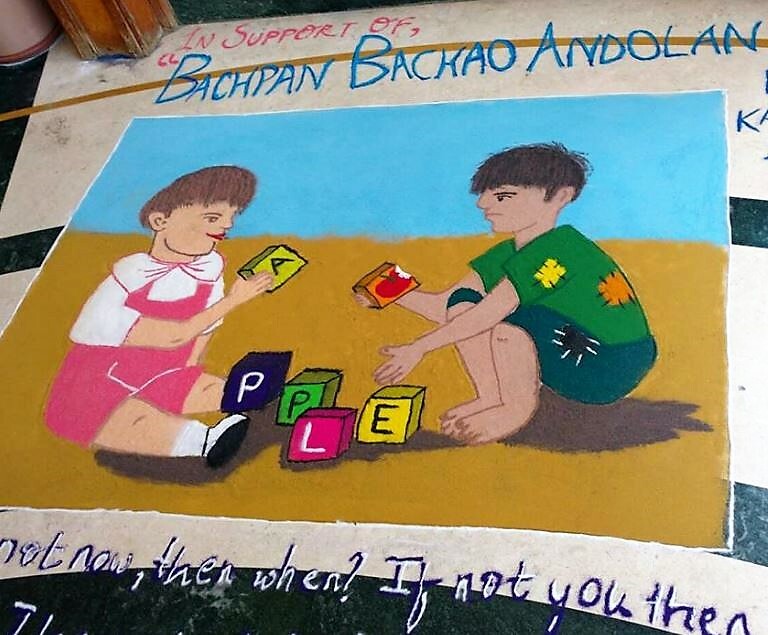 Use your rangoli to draw attention to the plight of children who are forced to work. These unprivileged need our help to lead a better life. 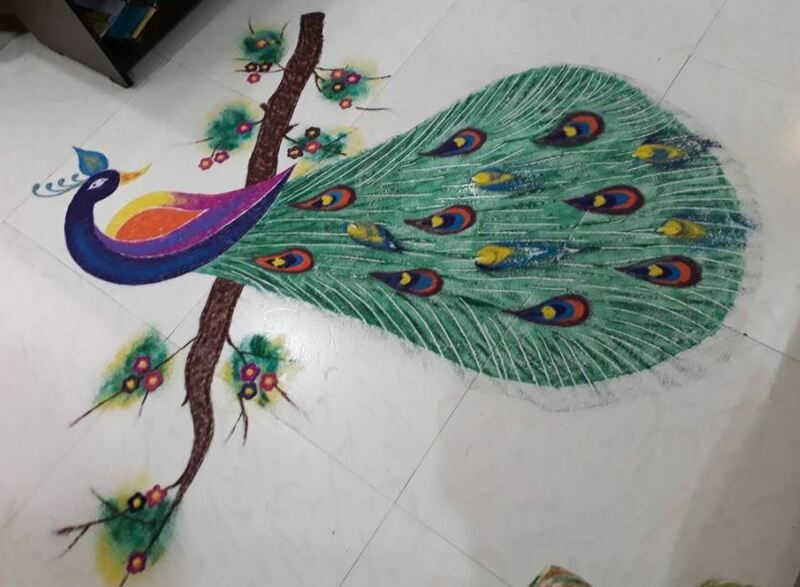 This peacock rangoli is already a winner. It is too pretty to take your eyes off it. 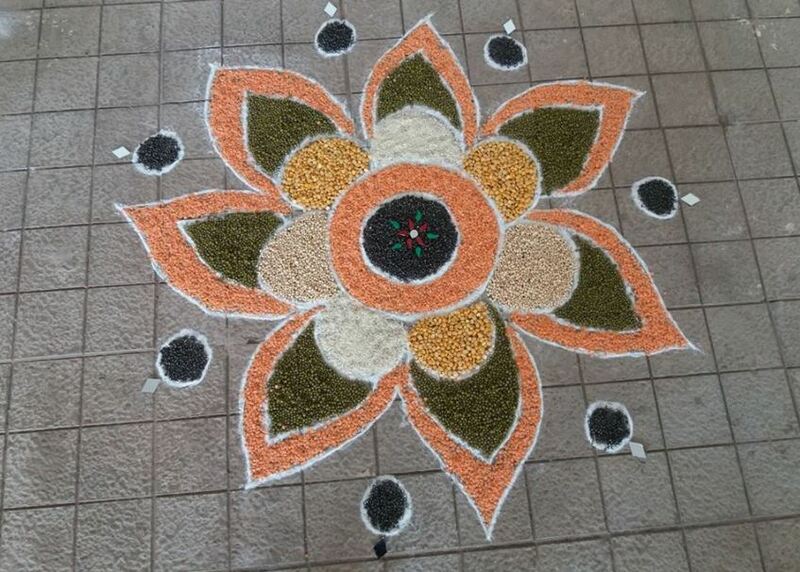 Use different hues of green color rangoli powder to get it right. 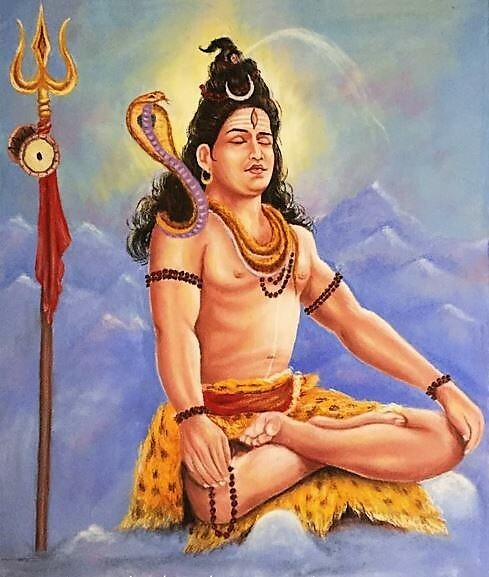 Check out this lord Shiva rangoli. Depicting deity in your rangoli design can never go wrong; hence an ideal rangoli for competition. 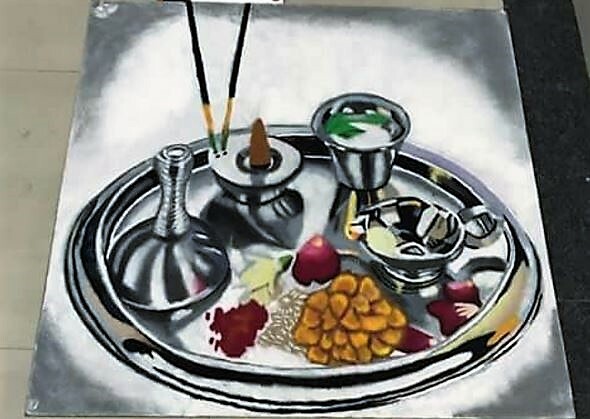 Here is a pretty pooja thali which looks almost real. Try this at rangoli competitions. The artist has used black and white in perfect proportion to cover all the gray areas. Show your 3D rangoli making skills at the competition and win prizes. Eating betel is very common in India. People chew it along with different combinations of masala. Take a look at this masterpiece. This rangoli design shows that god is the creator of the universe and he is the one who runs it. 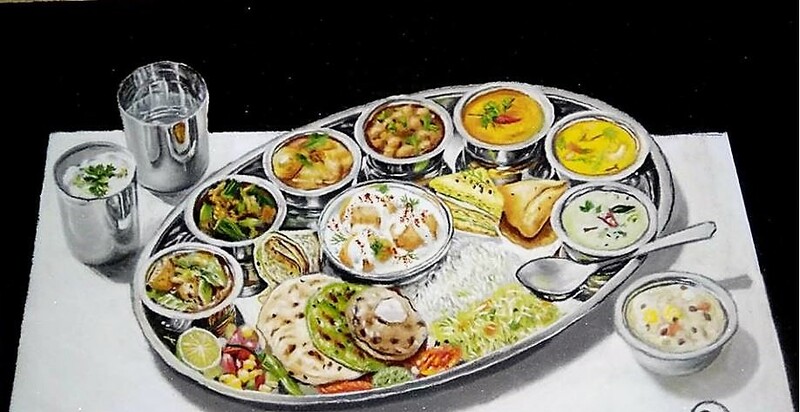 Here is a delicious platter served just for the judges at the rangoli competition. It can send anyone’s appetite for a toss. I have already started feeling the hunger pangs. If you are a beginner then draw this easy rangoli. Use flower petals in between to keep it simple and easy to prepare. 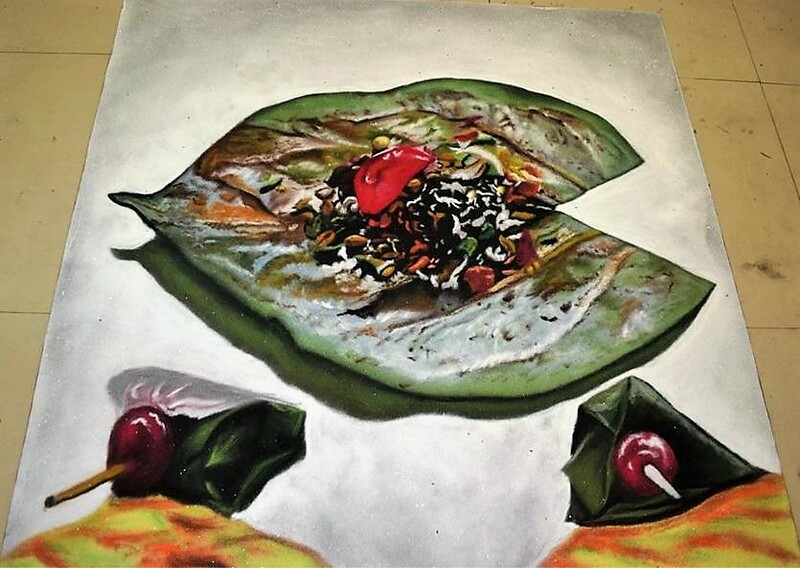 Here is another 3D rangoli and I must say it looks quite interesting. Create a portrait rangoli design. Pick any famous personality and draw your rangoli for the competition. 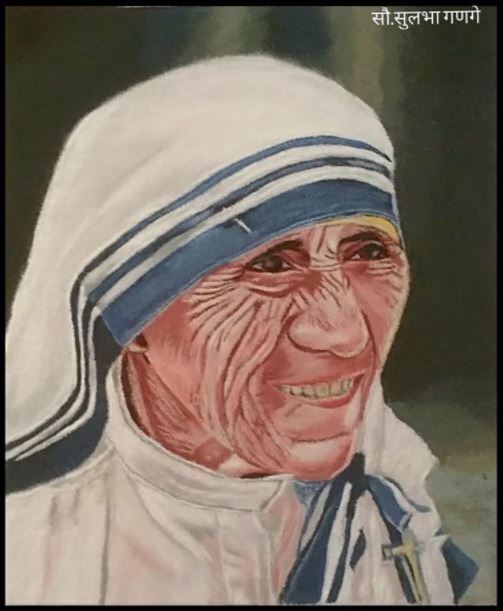 This artist has made Mother Teresa. 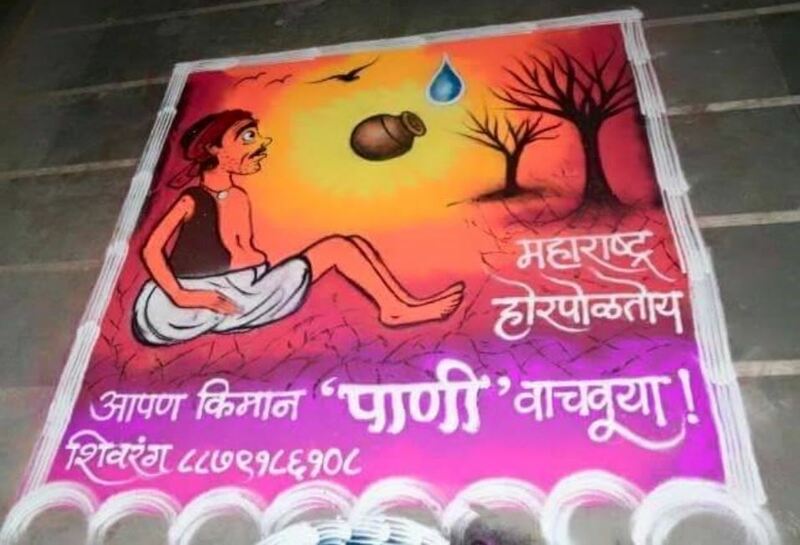 Water is precious and lifeline of farmers. Scarcity of water affects them the hardest. 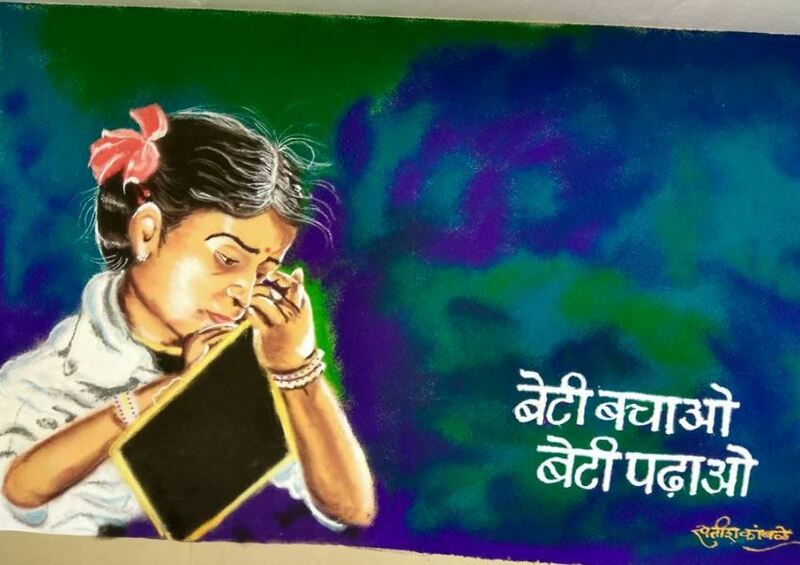 Make this theme based rangoli design and create awareness among people. Save girl child and educate them – this is the mantra that we should all follow. This rangoli is a perfect example of that in every sense. Make this cute cartoon rangoli in schools and colleges. 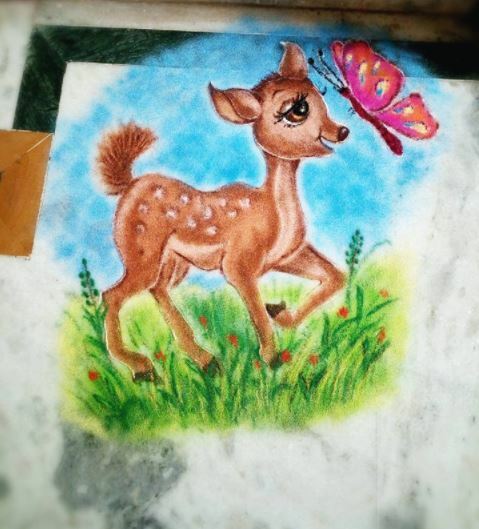 The children are sure to love this deer and butterfly rangoli design. 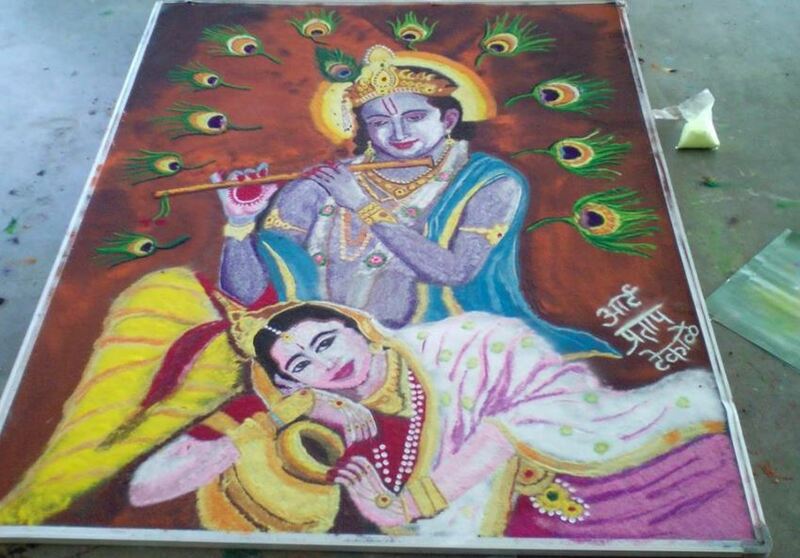 Try your hands on Krishna-Radha rangoli. This is ideal for competitions during Diwali and Janmashtami. 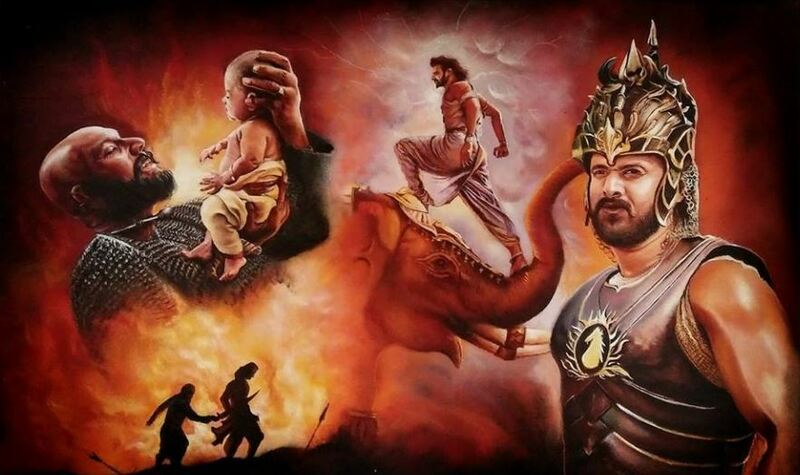 Here is a masterpiece – rangoli and the movie both. 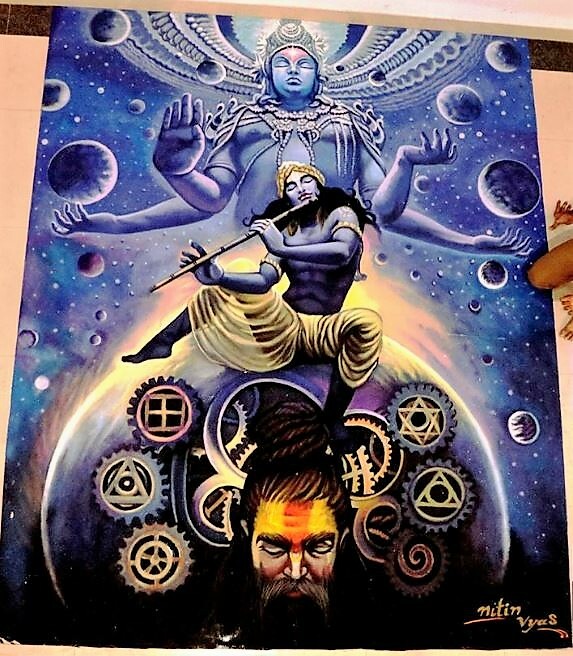 The artist must have spent hours making this breath-taking rangoli design for competition. 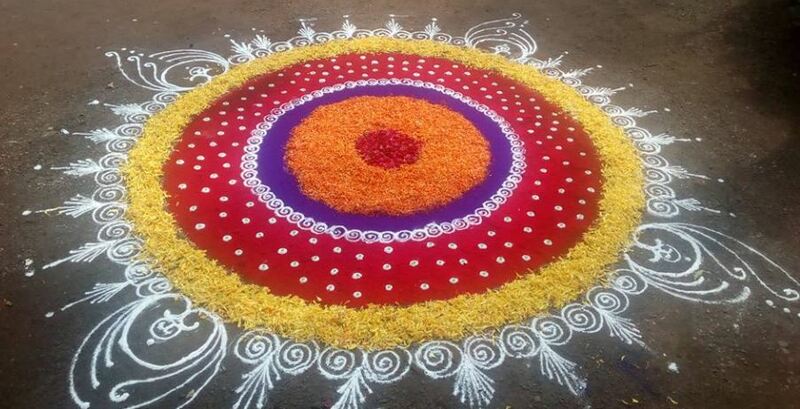 Use grains like rice and different kinds of pulses to make this creative rangoli. Try out a floral pattern as it is easy to draw and looks attractive. 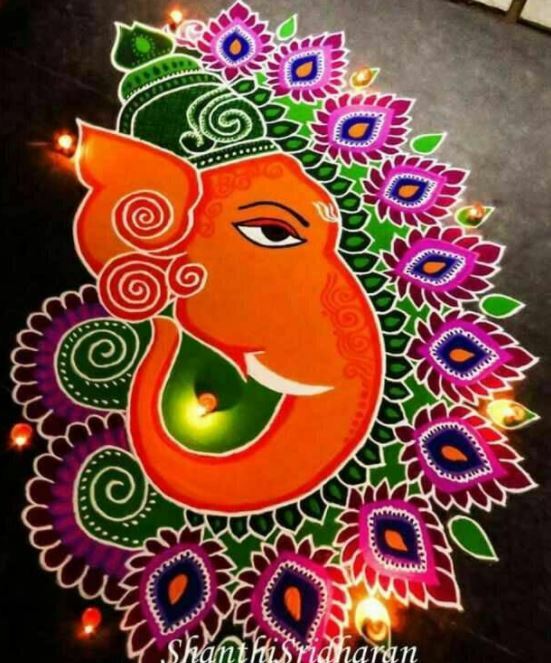 Ganpati rangoli designs are all time favorites. Make intricate rangoli patterns around it and place diyas to make it more appealing. 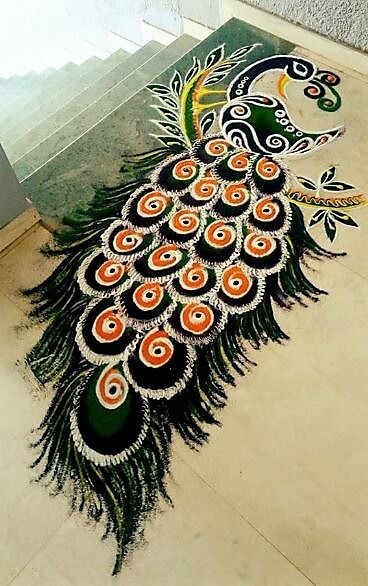 Check out on this peacock rangoli. It is not that complex. One can master it with a bit of practice and patience. 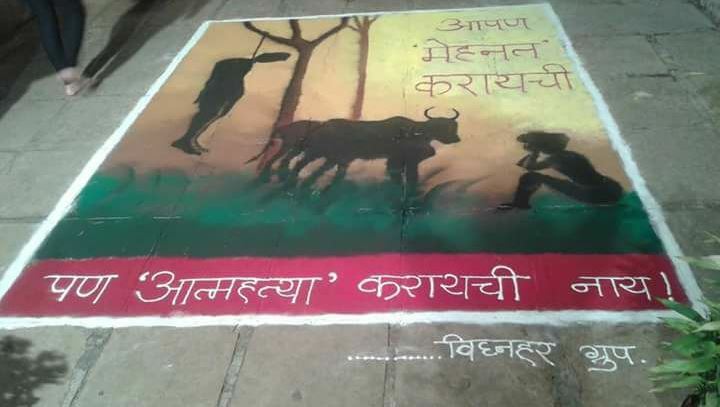 Here is another rangoli with a message on the plight of poor farmers. Go for this simple diya rangoli design. Make Sanskar Bharti patterns and fill it with bright colors. 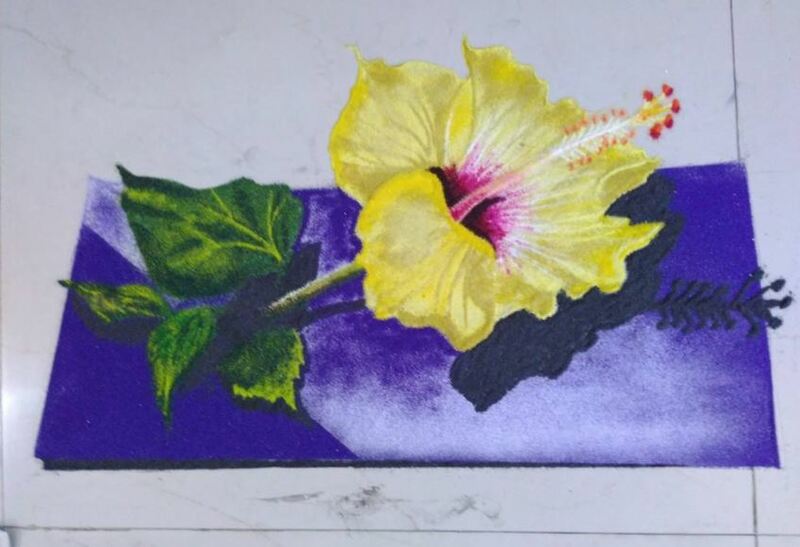 This entry was posted in Decor, Rangoli Designs and tagged Best Rangoli Designs for 2017, Best Rangoli Designs for Competition, Competition Rangoli Designs, Competition Rangoli Designs 2017, Competition Rangoli Designs for Diwali, Easy Rangoli Designs for Competition, Free Hand Rangoli Designs for Competition, Latest Competition Rangoli Designs, Prize Winning Competition Rangoli Designs, Prize Winning Rangoli Designs with Theme, Rangoli Competition, Rangoli Competitions Winners, Rangoli Designs for Competition, Rangoli Designs for Competition at Office, Rangoli Designs for Competition for college, Rangoli Designs for Competition for Schools, Rangoli Designs for Competitions with Concepts, Rangoli Designs for Competitions with Themes, Sanskar Bharti Rangoli Designs for Competition, Simple Rangoli Designs for Competition, Theme for Rangoli Competition by Homemakeover. Bookmark the permalink.